When it comes to Assisted Living, it’s important to ensure that resident’s have the most appropriate technology to support them. Tynetec have over 40 years-experience in the design and manufacture of such systems and offer an array of future-proofed solutions and flexible options that can be tailored to incorporate additional functionality should an individual’s needs change. Tynetec’s grouped living products can be configured to operate on their own or can be combined with Nurse Call or a Door Entry System or for a more cost effective and integrated solution. 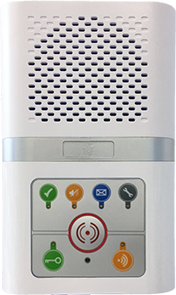 The Advent xt is the market leading grouped alarm and communication system. 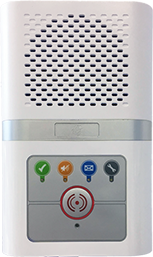 The intercom allows residents to speak to an on-site manager or call through to an off-site alarm receiving centre. Designed with its environment in mind, the intercom is modern in style with simple functional buttons. It offers exceptional speech quality so that the resident and manager can communicate clearly at all times. A manager’s handset can be used to carry out the majority of the day-to-day functions. A digital communicator enables the system to operate on both analogue and digital IP communication infrastructures. The Advent xt system can be expanded by adding a fully integrated door entry facility with dual speech paths to ensure that the door entry operation does not interrupt alarm handling. The addition of the door entry system enables the combined installation costs to be kept to a minimum. 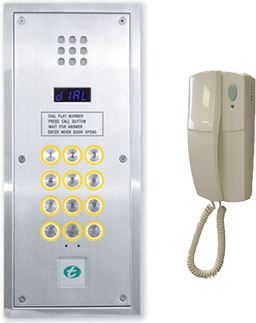 The system can be supplied as part of a combined intercom system or by utilising separate door entry handsets. Protecting current and future investments by digitally enabling your grouped living solutions for use with next generation digital networks. The Digital Communicator is designed to retro fit onto existing Advent XT installations or can be built into new systems and activated when a scheme is ready to move to a digitally enabled monitoring and response service. This device provides a digitally enabled communication channel directly to the alarm receiving centre (ARC). 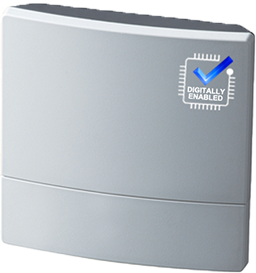 Unlike an analogue terminal adapter (ATA), the digital communicator is a truly native digital device that utilises the NOW-IP alarm transmission protocol. Optional back up via traditional communications. A flexible, vandal resistant door entry system that enables functional and digital combinations of panels to be integrated into a single installation. The Entel Ultra system has been designed to work with the majority of 4 or 5 wire traditional tone-type telephones on the market. This means that upgrading an existing system couldn’t be simpler, easier or more cost effective.